Find your perfect destination for a luxury wedding in Australia or Asia Pacific. Think tropical Pacific island weddings in Fiji, Vanuatu, Cook Islands and Niue, or romantic Indian Ocean ceremonies in the Maldives and Mauritius, not to forget the destination wedding choices in Malaysia, Thailand and Bali ... or perhaps an intimate wedding in a town close to your capital city is what you desire. 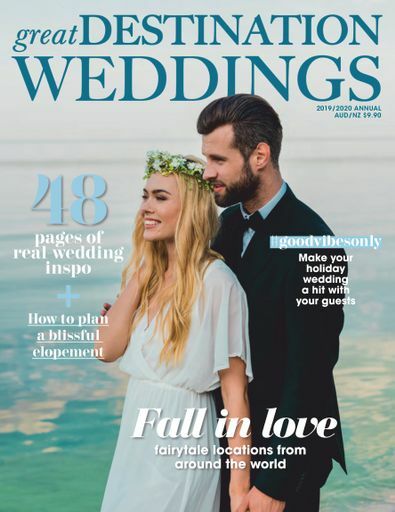 Great Destination Weddings showcases the best destinations for your holiday wedding!